Owning a luxury oceanfront condo in Wailea is a dream come true for top-tier buyers who enjoy living close to the water. 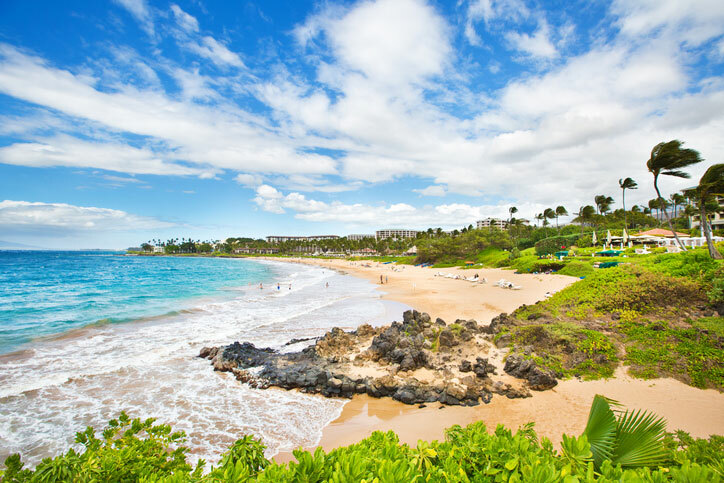 Here are a few tips on buying a condo in Wailea, one of the most sought after places in Hawaii. Unless you’re paying cash, you’ll have to secure financing for your purchase. If so, make sure to find a lender who is licensed in Hawaii. When buying a condotel, or a cross between a condo and a hotel, you will most likely be required to make a 30% down payment. Your real estate agent can give you a list of licensed lenders and mortgage brokers who know how the Maui market works. Keep in mind that the lending and escrow processes in Maui and the mainland are slightly different. Most notably, there are delays in completing these steps for those buying in the neighboring islands, since the final documents have to be sent to Oahu for recording purposes. This can take up to two additional days. There are two kinds of land ownership in Hawaii – fee simple and leasehold. With fee simple, you own the property and the land it stands on. With leasehold, you own the unit, and your neighbors own theirs. As a collective, you co-own the building. However, you don’t own the land that the building stands on. Someone else, usually a corporation, owns the land, and you give them a lease payment each month. This is often the case for condo buildings. Over the lifecycle of the lease, your monthly lease payments will likely be renegotiated every five to 10 years. The lease will include terms stating when and how the lease payment amount can be renegotiated. In some cases, the new lease amount will be based on the property’s value. When property values increase, lease payment amounts usually follow suit. There are many fee simple condo buildings that used to be leasehold properties. In these cases, the individual owners or the Association of Apartment Owners (AOAO) successfully negotiated with the land owner, thus converting the building to a fee simple property. However, if you don’t negotiate land tenure, the lease can end and might not be renewed. With your building sitting on someone else’s land, unit owners can be evicted and without any right to compensation. This doesn’t happen often, but it is a huge possibility. Your Realtor can help you discern issues concerning land tenure when buying a condo in Wailea. Exercise due diligence, and have the lease reviewed by a real estate attorney if necessary. Every condo building in Hawaii is required to have an AOAO, which is made up of unit owners responsible for running and maintaining the condo. As a unit owner, you have a say in the management and maintenance of the building. When it comes to AOAO fees, it’s important to know how much you’ll have to pay each month, what you get in exchange for the fees, which expenses are shouldered by the AOAO, and which costs will come out of your pocket. How much are the building’s operating expenses? How does the AOAO set the budget? Are the reserves well-funded, and how it is set? All AOAOs are in charge of shared areas like the gardens, swimming pool, and the building’s exterior, including the roofs and exterior walls. When it comes to condotels, your AOAO fees will cover cable TV, Wi-Fi, basic phone lines, and other conveniences that guests might expect. If your condo has air conditioning, you’ll want to know if electricity is covered, or if you’ll receive a separate bill each month. If you’re buying a condo with the intention of renting it out, you need to have a good understanding of how management agreements work. You’ll find reputable rental management companies in Maui. Moreover, it’s normal for condo buildings to have onsite rental management companies. Before signing with a rental management company, find out exactly what you’ll be getting, how much they’ll charge, and if there will be additional charges that aren’t included in your contract. Wailea real estate is prized for its quality, location, and market value. If you’re looking for a luxury oceanfront home or want to invest in a condo in this prestigious community, call me Gregory Burns, at 808-214-0302 or send an email to Greg(at)IsleLuxury(dotted)com.